Android tablets are often hit or miss. There are typically two types -- good quality and poor quality, with very few in between. Android purists will tell you to stick with the Nexus line, but restricting the pool of available tablets defeats the purpose of Android entirely -- choice and diversity. Instead, consumers should keep an open-mind to all manufacturers. 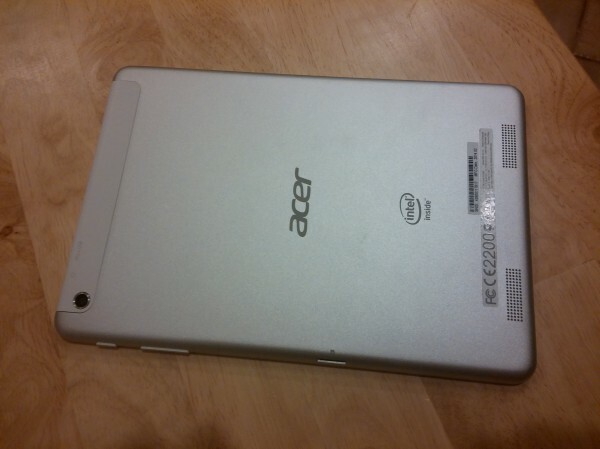 Speaking of manufacturers, one of my favorites is Acer, as it delivers value on a budget. Today, I am reviewing an 8-inch tablet from that company, the A1-830, and it is very unique. Hell, it is powered by Intel, costs $179.99 and the display is 4:3. Interested? Read on. First things first, the big selling point is the Intel processor. This is the major differential between it and other similarly priced Android tablets. However, Intel x86 vs. ARM is really more of a personal preference. While an x86 processor is typically more powerful on paper, Android and its associated apps are not all optimized for it. So, your mileage may vary from a performance standpoint. But, the uniqueness of x86 at this price makes it a positive. In actual usage, the performance is quite good -- everything feels snappy and apps load quickly. Playing games such as Granny Smith or Riptide GP 2 were smooth. When doing pinch-to-zoom in photos and the web browser, I detected no lag -- it is a good experience. The build quality is quite impressive as it features an aluminum chassis. Just feeling the metal-back in my hands, rather than plastic, gives it a premium feel. The power button and volume rocker are very solid, with a satisfying click when depressed. You would think that would be typical, but it is not. Many budget tablets have loose buttons that rattle and feel chintzy. While some may decry the 4:3 display, I applaud it. Reading e-books or surfing the web is great in this format. Web pages take advantage with less wasted screen real estate. For a tablet, the camera is actually quite good. Taking photos with the 5mp rear-camera produced good photos, albeit a bit grainy. While tablets should never be your go-to camera, if you have to use it in a pinch, you should be relatively satisfied. Battery life is very good and on-par with what I experience with the Nexus 7. With light use, it can last days on a single charge. However, prolonged heavy use, netted me about 6 hours. My iPad Air and Surface 2 are far better in this regard, but this is only a fraction of the price and quite frankly, a different type of device altogether. One area where the Nexus line is lacking, is the microSD Card slot, or lack thereof. By not having an option to expand memory, it severely limits the potential of the device. Since Google offers paid cloud storage, the motivation behind not including a microSD slot on the Nexus tablets can be called into question. The Acer A1-830 offers an easy to access microSD card slot on the side. The user can add up to 32GB more storage to the already included 16GB. While the screen is passable, it is not as crisp as I would like. It's not bad, but reading text in particular is not as wonderful as say, an iPad Mini Retina. However, at this price-point, which is a fraction of the iPad, that is acceptable for me. Watching videos or looking at photos is fine though. The most glaring negative about the tablet is the speakers. On paper, the stereo speakers should be wonderful. However, listening to music is quite poor. I noticed a lot of distortion, even at lower levels. Of course, if you use headphones or a Bluetooth speaker, this should not be an issue for you. The WiFi works well, but it is only a 2.4 GHz affair. Sadly, the tablet cannot use the ever-growing 5 GHz band. While this is not a huge issue, most home routers offers both, it does limit the potential of the device as it has less options to connect to. You could find yourself in a predicament, where a router has the 2.4 GHz band disabled and you cannot connect. Likely? No, but possible. There is also a bit of bloatware installed, which cannot be removed. For instance, McAfee Security is pre-loaded and gives periodic nags to register. Well, I do not want to register and I do not want the app. Without root however, the app is staying put. Unfortunately, root access has not yet been achieved. However, the tablet only goes on sale today, so hopefully that will change. I tried using existing methods, like Framaroot and came up empty-handed. The Nexus 7 is getting a bit long in the tooth and the 7 inch screen is just too small for many. The Acer A1-830 ups the ante with a larger screen, expandable memory, Intel processor and a $179.99 price. The tablet is not perfect; the speakers are sub-par and the screen could be better. 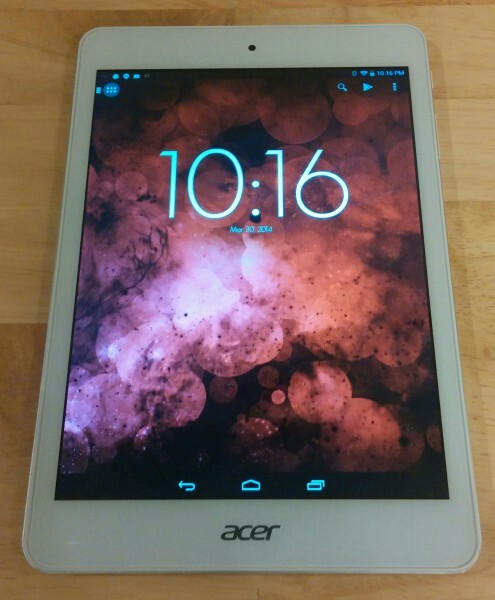 However, if you are looking for an inexpensive, well-built Android tablet, this may be it. It is a good quality tablet. Recommended. 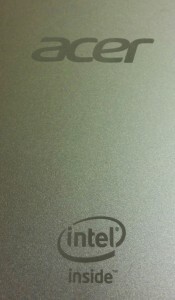 Are you interested in an Intel-powered budget Android tablet? Tell me in the comments.